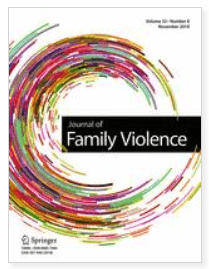 From now until February 4, 2019, all articles in the special issue â€œTransformative Research Methods in the Field of Gender-based Violenceâ€ from the Journal of Family Violence are available free for download. This is a great opportunity for sexual and domestic violence prevention practitioners and researchers to access emerging research and dive deep into these studies while the articles are free. This special issue explores community-based participatory research (CBPR) approaches to preventing sexual and intimate partner violence, and authors include researchers, evaluators, and activists. CBPR is not only an important research and evaluation tool, but its community-centered and community-driven nature centers the voices and experiences of those most impacted. CBPR allows researchers, evaluators, and activists to examine, disrupt, and dismantle social inequities and gives community ownership to research. The special issue also includes commentaries from practitioners and young people in the field with their insights into working with researchers and evaluators. Find and download the articles before February 4th by clicking here.